What makes a TV show work? Over the past couple of years, I've gotten really into watching long form TV shows on DVD. 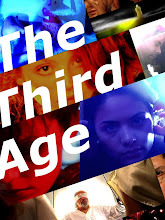 The late 90s into the 2000s has been an unprecedented time of quality on TV. There've been a huge number of series that I'd qualify as great literature. What makes a series great? The most important thing for me is great characters who develop and change. The thing that most people don't get is that if you make interesting enough characters, you could have them sitting around a room for an hour and it would still be riveting. Seinfeld took advantage of this to some extent, as did Buffy in season six. The episode Entropy features very little plot development, but is the culmination of a host of character threads that had been developing over the season. The Buffy/Spike relationship is exposed to her friends, Tara and Willow reconcile, and Xander suffers the fallout of leaving Anya the altar. Not too much happens, and to a new viewer it would probably be a really boring episode, but becuase the characters are so interesting at that point, the plot is irrelevant, we're watching for them. The best shows don't make you want to know what happens next in the plot, though that certainly doesn't hurt, they make you need to see where the characters will go. The Office is an entirely character based series, very little actually happens, but all the comedy and drama come from seeing the characters interact and change. Another thing that's needed for a great series is a respect for continuity. The X-Files has some phenomenal episodes, and probably the best concept of any TV show in history, but ultimately, I can't consider it a successful series becuase it has no respect for the viewer, and does not work as an overarching story. Probably the best example of series continuity is The Sopranos, which not only maintains character and plot arcs, single lines from an episode are crucial to explaining what's going on, and the writers never forget anything that happens to Tony. The character has come about because of what's happened to him in the past five years, each episode clearly follows the next, and there's no aritifical conclusions. Buffy also does continuity brilliantly, and the character development is perfectly executed throughout the series. Even on a show like Cowboy Bebop, most of the episodes are standalone, but you can tell that the events that happen do change the characters, and everything pays off at the end. While I'm more inclined to like a sci-fi show, any show that respects its characters and continuity can appeal to me. Six Feet Under is basically a soap opera, but it's so well made, and the characters so well developed, the premise doesn't matter. The hook of Buffy is the supernatural world, but I don't think anyone who's a big fan of the show was actually watching to see her slay vampires, it's all about the characters interacting. That's the thing that TV has over film. You can make a great character in a movie, and they can change, but not that much. TV characters can have many more layers and go through more subtle evolution. You'll get more specific artistry watching a movie, becuase more time can be spent on each shot, but TV can give you the big picture better, and there's really no experience like watching the culmination of a five year story arc that pays off beautifully. I watched the anime series Trigun over the past couple of weeks, and finished it on Tuesday. It wasn't the greatest series ever, but towards the end, it got pretty great, and more importantly, thematically deep. The series discusses the same basic issue as The Invisibles, which is, what is the best tactic for fighting your enemies? For the whole first chunk of the series, Vash the Stampede refuses to kill people. Despite frequently using guns, and always getting into fights, he will not take the lives of others. This is at times implausible, and leads to greater problems and destruction than taking one life would have caused, but we accept it, because he's the central character of the series, and as a result, is the series' moral compass. I had a lot of problems with the first ten or so episodes of the series, becuase they present Vash as an incredibly goofy character, and the not killing people just seemed to be an extension of that. Miraculously, he could get into all of these firefights, not get injured, and still not resort to having to kill anyone. His motto at this point is "Love and Peace," which he says frequently. As the series moves along, Vash runs into Wolfwood, a priest, who serves as a counterpoint to Vash. Whereas Vash strictly refuses to kill, Wolfwood has a somewhat compromised morality. He feels that killing bad people is good in the long run, and as a result has no qualms about it. He's extremely frustrated by Vash's methods, and this frustration also causes the audience to question what Vash is doing. Everything comes to a head in Out of Time, when Vash and Wolfwood have to fight two gung ho guns. Earlier in this episode, we see Vash talking with Wolfwood about how if he's a preacher, he should follow the commandment, "Thou shalt not kill." So, Wolfwood decides to follow Vash's advice and not kill the apple man. However, this backfires, and Wolfwood ends up getting shot and dying, which causes Vash a great deal of guilt, and puts into question the basic moral point of the series. With Wolfwood's death, Vash's moral standpoint is proven inadaquete. Whereas Vash is able to take getting shot, because of his superior body, for a human, it will eventually lead to death. If Wolfwood had killed the apple man, he would not have died. So, Vash's strict moral stance is upended, leading to the next major event, the confrontation between Vash and Legato. Legato is controlling the townspeople with his mind, causing them to attack Meryl and Millie. They will die, but Legato leaves it open to Vash to save them. He will let Vash kill him to save them, but this would require Vash compromising his morals and taking a life, even if it is the detestable Legato. Ultimately, Vash chooses to kill Legato, the choice that seems sensible, but it causes him a great amount of mental angst. Much of Vash's moral militance comes from Rem, who taught him that it's not worth killing a spider to save a butterfly, there is no justification for taking life. The spider and butterfly analogy is clearly echoed in the confrontation with Legato and Meryl/Millie, but here Vash seemingly has no choice. He has to kill Legato. The death of Legato leads to the final arc of the series, in which Vash prepare to, and fights Knives, his brother. Knives believed that humanity was a cancer of the planet, and needed to be destroyed. He was perfectly willing to sacrifice the spider to save the butterfly, and to him, only he and Vash would qualify as butterflies. Knives represents the extreme of Wolfwood's morality, he is willing to sacrifice anything to get what he wants. Earlier in the series, Wolfwood had asked Vash what he would do when he finally got to Knives, would he kill him? And, at the time, there's no real answer. This uncertainty lasts right up to episode 25, the penultamate episode of the series. Vash spends his time thinking about what he will do to Knives, and by the end of the episode, he realizes what he has to do. Rem had told Vash to take care of Knives, and earlier in the series, this had been hinted at as a need to kill him, but here Vash reinterprets the statement, and realizes that what he literally has to do is take care of Knives, to help him, and save him, with love. They fight in episode 26, and after some battle, Vash defeats him, but rather than killing him, he takes Knives over his shoulder and carries him back to town. He realizes that just not killing is not enough, you have to actively work to save people. This is extremely similar to the themes developed in The Invisibles, it's the idea that if you keep fighting your enemy, you may win the battle, but you'll always have to fight another. The only way to win a war is to change your opponent, and that's what Vash plans to do with Knives. If he killed Knives, it would torment and destroy him. If he lets Knives go, Knives will create more problems around the world. However, by saving Knives, he would eliminate the problem. This message is rather prescient, someone needs to show George Bush this series. We can't win the war on terror by killing all the terrorists, nor by just ignoring the problem. We need to change the way we are perceived by the Arab world, and take care of them. The rhetoric of calling nations evil, and Kerry's constant promise to "hunt and kill" terrorists completely misses the point. You can kill a thousand terrorists, but that leaves a thousand families whose sons have been killed, and want revenge. Bush has such a one sided view of events, he just doesn't understand that terrorists are people too, and we need to be able to understand their perspective if we ever really want to elimiante terrorism. But back to Trigun. Clearly, the show has a very positive message, and it's earned. You go through the moral dilemmas that Vash experiences, and you come out on the other side having learned the same lessons that he has. There's a lot of problems with the series, it's certainly not as strong as Cowboy Bebop, but that doesn't mean it's not a great watch. I've been listening to the new U2 album and I'm really impressed. I'm a huge U2 fan, mostly of the more recent stuff. My favorite albums by them are Achtung Baby and Zooropa. Achtung is one of my top five albums all time, and is one of the few albums where every single track is amazing. One is the most famous song off the album, but Until the End of the World, The Fly, and the last three tracks Ultraviolet/Acrobat/Love is Blindess are all brilliant songs. 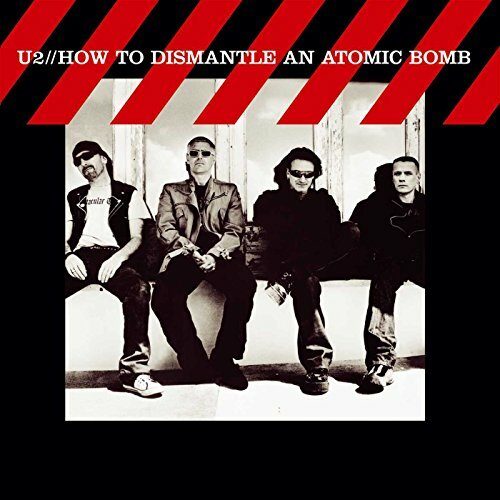 How to Dismantle isn't as strong as that album, but it's definitely one of U2's better albums. Even after just two listens, I like all the songs, and love City of Blinding Lights. City is on par with anything that U2 has done in the past. I love the sound of Edge's guitar, no one else plays the way he does, and he breaks out some solos that see him more unhinged than any of his previous stuff. Bono's soaring voice, and the Edge guitar clipping away under it is what makes U2 so good, and so unique. What else is up with me? Thanksgiving break was pretty good, it felt like I was back in the summer. Last year, Thanksgiving was amazing, becuase I was seeing most of my friends for the first time since we had gone to college, and there seemed to be some change. However, everything basically went back to summer mode when we were back, which isn't bad, but it just didn't feel as special as last year. But, I think that may be because things seem to be going so fast. I go home and I completely forget about the previous three months, and it feels like just yesterday it was August. But, then I'm back here, and despite being home earlier today, that feels like a long time ago. I guess it's just I adapt to wherever I am at the time. Two spheres, and they usually don't cross.